Designed for those nights wrapped up on the couch to share... or not as the case maybe watching your favourite movie! Pure Belgian Chocolate with real toffee pieces, popcorn and a hint of Shetland Sea Salt - what could be better? White Belgian Chocolate topped off with Freeze Dried Strawberry Pieces and dried edible flowers, beautiful aromas match a smooth chocolate bar. 54% Cocoa in this Belgian Dark Chocolate with all the healthy benefits of Raspberries & Matcha Tea. White Belgian Chocolate with Freeze Dried Raspberries with a touch of Limoncello oil, certainly one for sharing... perhaps. Dark Belgian chocolate topped with Dates, Sunflower Seeds, Pumpkin Seeds and Chia Seeds, a health kick in a dark, dark bar! A smooth dark Belgian Chocolate topped with Pecans, a touch of locally harvested Sea Salt and a hint of Rosemary, one of our original favourites. Dark Chocolate (80.1% Min Cocoa Solids). A powerful and dark chocolate, robust & rich giving warm, sensual and overwhelming bitterness with subtle sweet accents. Hints of red fruits, gingerbread, black olive and alcohol and a hint of vanilla. This is a blend of Sao Thome, Tanzanie and Ghana Beans. Dark Chocolate (70% Min Cocoa Solids). Complex flavours with a finish of Blackberry & Oak. Pairs wonderfully with Passion Fruit & Walnuts, Lemon & Thyme and unusually, Stilton. 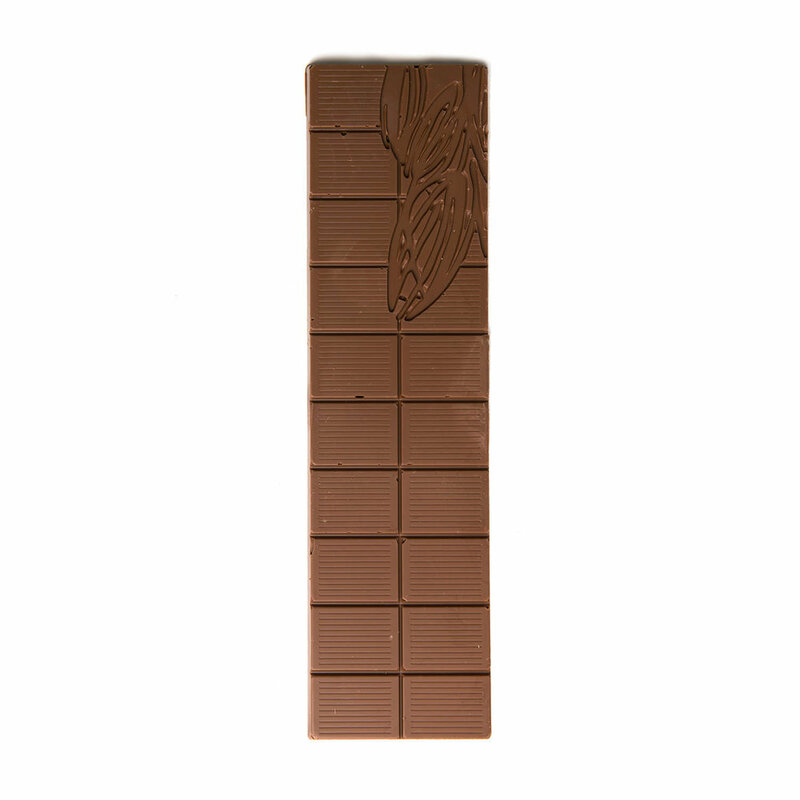 An Origin Couverture Milk Chocolate (35.8% Min Cocoa Solids). Fruity notes with hazelnut. It pairs well with Cocoa Nibs and Banana. Our “Better for Diabetic” Dark Chocolate (54% Min Cocoa Solids) and sweetened with Maltitol. Our “Better for Diabetic” Milk Chocolate (33.9% Min Cocoa Solids) and sweetened with Maltitol. Our “Better for Diabetic” White Chocolate (30.7% Min Cocoa Solids) and sweetened with Maltitol.